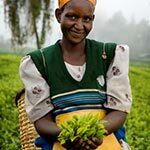 Fairtrade is an alternative approach to conventional trade and is based on a partnership between some of the most disadvantaged farmers and workers in the developing world and the people who buy their products. When farmers and workers can sell on Fairtrade terms, it provides them with a better deal: an opportunity to improve their lives and plan for their future. Fairtrade offers us a powerful way to reduce poverty through our everyday shopping. WHAT DOES THE FAIRTRADE MARK MEAN? 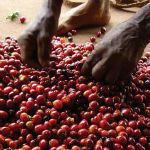 When a product carries the Fairtrade Mark it means it was produced according to international Fairtrade standards. These standards ensure Fairtrade products are socially and economically fair and environmentally responsible. Key standards include the payment of a minimum price and a premium. For most Fairtrade goods there is a Fairtrade minimum price which is set to cover the cost of sustainable production for that product in that region. If the market price for that product is higher than our minimum price, then farmers and workers receive the market price. Payment of the minimum price is regularly audited and checked by FLO-Cert. This acts as a vital safety net for farmers and workers and protects them from fluctuations in the market prices of the products they grow for a living. This protection ensures they can have an assured and stable income and plan for their future. 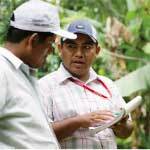 Fairtrade is the only certification scheme that offers such a safety net for farmers and workers. As well as the Fairtrade minimum price, workers and farmers receive an additional sum of money called the Fairtrade premium. This money goes to a communal fund to be used as they see fit to improve their social, economic and environmental conditions. Fairtrade works with a range of stakeholders and is half owned by farmers and workers representatives. With a greater voice, farmers and workers have a stronger say in decision-making on overall strategy, use of resources, prices, premiums and standards setting. With Fairtrade the power to change the world every day is in your pocket. With one simple purchase you can get farmers a better deal. And that means they can make their own decisions, better control their futures and lead the dignified life everyone deserves.